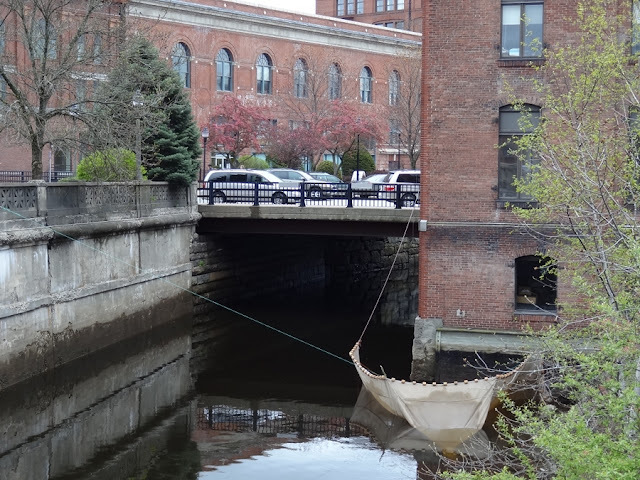 American Eel Fishing in Downtown Bangor? At $2000 a pound, the tiny eels are probably worth the trouble it took to rig this net up downtown in the Kenduskeag Stream canal. Or was it set up by the City of Bangor? The elver market could be a windfall for the City's budget.